Oriental lilies are a really good investment to make in your garden because you can enjoy a beautiful cluster of flowering stems. If you take care of this plant properly, the flowers will reappear like magic each spring. I personally enjoy these flowers the most because they bloom so beautifully, growing up to 4 feet tall. Not to mention their incredible fragrance that can really lighten up your garden. Thus, grace your garden with these brilliant flowers and find out how minimal pruning can improve that. 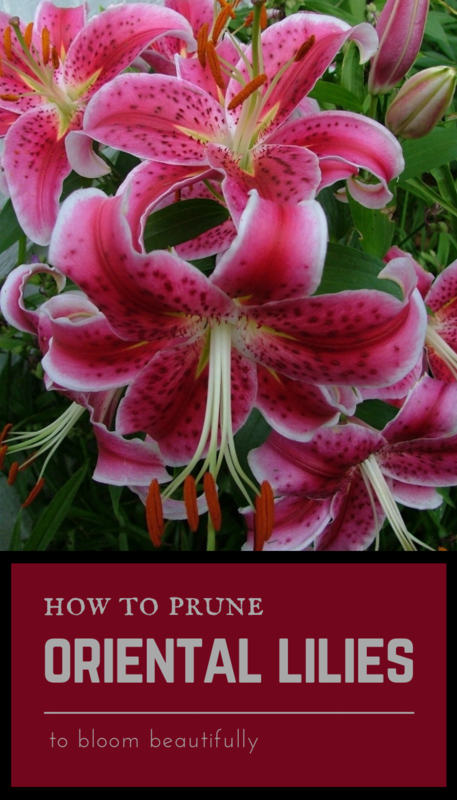 Keep reading and see these beneficial tips and tricks to prune oriental lilies to keep them blooming beautifully. 1. First of all, before proceeding with cutting your plant, make sure your clippers are clean. Then, select stems containing multiple buds, and make sure you do not cut too deeply down the stalk. That way, you will keep the nutrients and your oriental lilies will fully bloom the next spring. 2. Next, start pruning off the flower heads when they begin to fade. You can do this by clipping the stalk just below the blossom. This method will keep the plant tidy and it will prevent your beautiful flowers from transferring its energy to producing seed. 3. Make sure you also get rid of any dead stalks at the soil as soon as you notice them. 4. The watering and feeding of oriental lilies should be done even after the last blossoms have faded. Furthermore, make sure you avoid pruning during this time because the bulbs need to recharge. That way, they will have the nutrients and energy to bloom when the spring comes. 5. Last but not least, you should also add a 3-inch layer of organic mulch over your flowering bed. It is better if you do this when you first plant the bulbs and make sure you replace the mulch every spring.